Eco-Tech alternates provide a money-saving, environmentally-friendly alternative to the stock alternator that comes standard in your heavy-duty vehicle. Why choose Eco-Tech over a standard, stock alternator? Eco-Tech uses a patented design to deliver high output at low RPM, which differs drastically from stock alternators. Heavy-duty alternators typically come standard on larger vehicles, for example, an Navistar bus. These alternators are specifically designed to satisfy a high electrical need at idle, however, they force the engine into high RPM mode. What this means in the long run is essentially an engine that will wear out too quickly, an alternator that is working much too hard, and a battery that will have a more reduced life, due to the constant electrical spiking. 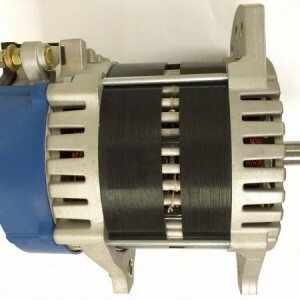 Many owners of heavy-duty vehicles have found that installing other components such as high idle or load shedding devices to be helpful, however, this is unnecessary with a simple Eco-Tech alternator replacement. alternator. 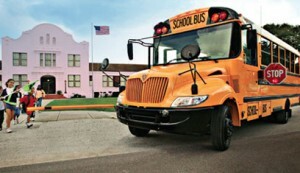 This covers all IC buses (school buses), and many other types of transportation buses commonly found in use. This 200-amp alternator struggles to keep up with the electrical load required by a school bus. Think of everything that a school bus does at idle: flashing lights, parked to let children off and on, and more. A low-RPM Eco-Tech alternator easily delivers 260 Amperes, and this is at idle. An alternator that is rated at 200 will deliver much less when the bus is sitting. An Eco-Tech replacement also saves money on fuel economy, thereby reducing the carbon footprint. Overall, Eco-Tech is the better choice, delivering more power at a low RPM, in a money-saving, green way.